Camel! If there were only one color that I should choose, it would be the absolute one. There’s something about camel color that makes everything so magical. Clothes are more luxurious, in other words, they just look…more expensive. 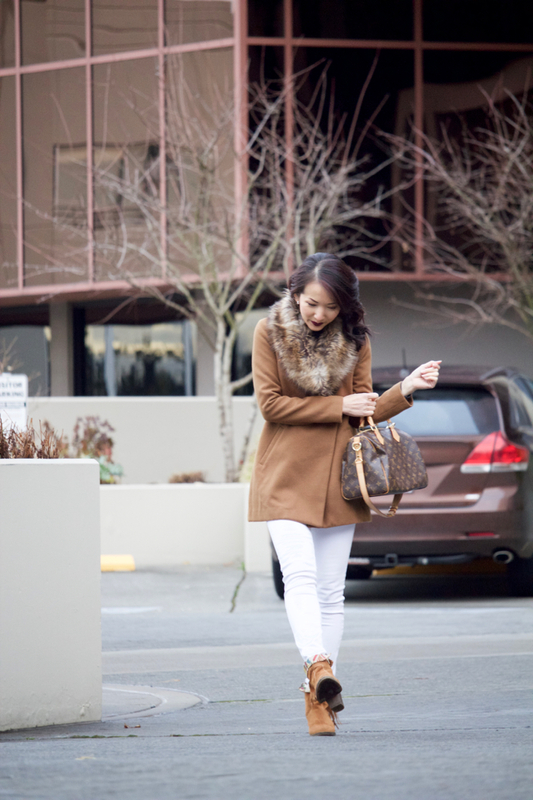 This coat was from the last few seasons, but it has been the piece that I’ve fallen in love every time wearing it. If you have not had any piece in this color, it should be on your shopping list next. Thanks so much for reading and have a great coming week! Nice outfit! You look fab! 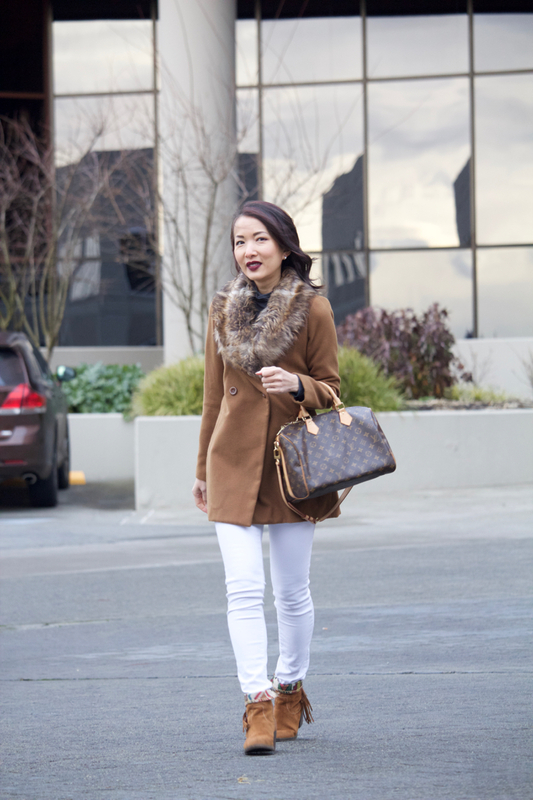 Camel is one of my favorite colors, and it’s definitely been all the rage this season! 🙂 Loving this super cozy yet classy look <3 Faux fur always makes everything look so put-together!